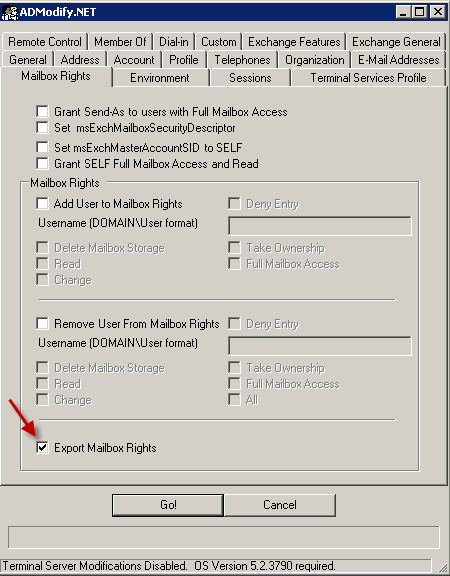 Creating a list for effective mailbox rights can be quit a task. To simplify this task you can use the tool ADModify.net. In the right pane select the account and choose next. Combine this list with mbxrights.xml and you are done!